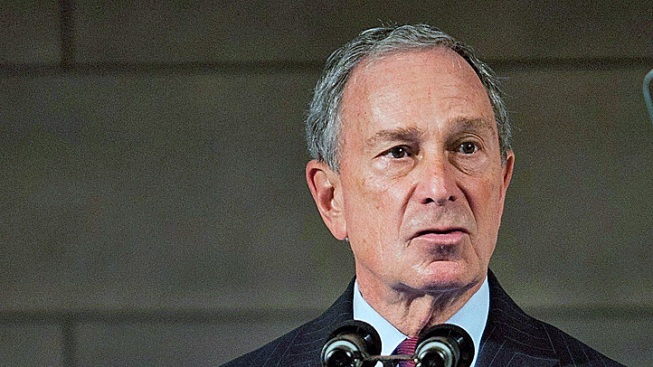 New York City Mayor Michael Bloomberg recently beefed up his already impressive real estate portfolio by dropping a staggering $20 million on a Georgian mansion in the Hamptons, reports the Post. While interior photos of the crib are scarce, Southampton Patch just dug up some aerial views of Bloomberg's new estate and judging by the birds eye view, the residence is just as lavish as its written description. Built in 1910 the historic ivy-coated brick manor boasts 11 bedrooms, 8.5 bathrooms, a pool, tennis courts, horse-riding stables, and grazing pastures, amongst other first-class amenities. The grand estate is located adjacent to an exclusive golf course, which is only appropriate for the golfing mayor. In fact, the mansion itself was built in 1910 for Charles Blair Macdonald who built the first 18-hole course in the nation. In addition to this massive residence, Bloomberg also owns property on the Upper East Side, Bermuda, and Vail, CO.